Passport, Keystone RV: With Passport Ultra Lite, we make it easy to stamp the mind with memories, help the kids fill their pockets with precious knick-knacks, create a one-of-a-kind album of snap shots. Because Passport is lighter and fully equipped, it is easier to grab and go, giving you plenty of opportunity to hit the road on a moment's notice.  2019 Keystone RV Passport 2810BH Grand Touring, ~>>DELIVERY AVAILABLE! MSRP $28,647 QUALITY RV PRICE $21,995. 6 Gal. G/E W/H, Front Diamond Plate, Exterior Value Package, Outside Speakers, Heated and Enclosed Underbelly, Interior Package, AM/FM/CD/DVD Sound System, Ducted Furnace, Power Awning, Heavy Duty Easy Lube Axles, 13.5BTU Ducted A/C, RVQ Grill, HD Flat Panel TV, Aluminum Wheels, Tri Fold Sleeper Sofa Keystone Passport 2810BH Grand Touring travel trailer highlights: Dual Entry Double Bunk Beds Large Slide U-Shaped Dinette Tri-Fold Sofa Do you enjoy traveling to local bike rides, state parks, or out-of-state locations? Do you own a SUV or half-ton truck? Start a new adventure today and own this Passport 2810BH Grand Touring travel trailer for many years to come. You can cook, sleep, and get cleaned up in this RV with your own accommodations where ever you choose to stay. From sleeping in your own private bedroom, having the convenience of a full bathroom with an exterior and interior entry, to the double size bunk beds and privacy curtain for the kids, you will never regret your choice! Come see what else you will enjoy on your next excursion. The Passport Grand Touring models are lightweight and towable behind many SUVs and half-ton trucks. Each model comes with Load Equalization axles that reduce sway for an easy tow, and the unit has an enclosed, sealed and heated underbelly for four seasons of traveling. Once at your destination you can walk up the triple entry steps and grab onto the XL folding entry assist handle for support. You will find several residential style features such as durable Armstrong linoleum, furniture with high grade fabric, and raised panel hardwood cabinet doors. The exterior shower is very useful to get cleaned up before entering the RV, washing your pets, or even cleaning a few dishes outside. Choose your favorite Passport Grand Touring model today, and start making memories tomorrow! This unit has the following features: it has an extreme weather package, 3 year limited structural warranty, electric patio awning, exterior speakers, exterior kitchen, rear access ladder, spare tire, exterior shower, 30 amp service, power tongue jack, 10 amp solar charge, Queen bed, shirt closets, U-shaped dinette, leather sofa, nice kitchen, entertainment center with electric fireplace and Furrion sound system, bunks, and nice bathroom with electric fan. 2018 Keystone Passport Grand Touring 2810BH, Everyone in the family will relish the spacious interior! It's a roomy 31' 10" long, 8' 0" wide, and the 1 slides maximize the interior living space! And when the weather outside isn't cooperating, you'll stay cozy and comfy thanks to the modern 13500 BTU a/c unit and the 35000 BTU furnace that will keep the climate in this RV pitch perfect!Even when you're hundreds of miles away from home, you'll sleep just as well in the master bedroom! With its cozy Queen bed, you don't have to worry about losing sleep! There's enough sleeping space for up to 10 people inside this RV!Your family will enjoy great meals with the kitchen, which includes a 3 burner cooktop stove and a 6.00 cubic foot refrigerator that will let you stock fresh food, fruits, and veggies! Don't worry about the kitchen running out of water, with the 43 gallon freshwater tank!This Travel Trailer has a gray water tank that holds up to 38 gallons, and the black water tank holds 38 gallons. The 40 lbs. LP tank capacity ensures hot water in the shower, and there is also a Foot Flush toilet inside the bathroom!andnbsp;Camping and road trips take a lot out of any family, so thankfully there are 3 beds inside this Travel Trailer! The Bunkbeds inside the bunkhouse provide somewhere for guests and little ones to sleep comfortably! 2018 Keystone RV Passport 2810BH Grand Touring, This Passport Grand Touring model 2810BH features double bed bunks, dual entry doors, and a large slide out for added interior space.As you enter the most centrally located door you will see just how spacious this unit is. There is a front bedroom with queen size bed including wardrobes on either side for storage. There is also an overhead cabinet for added convenience. An entertainment center is located just off the foot of the bed and there are sliding doors on either side that can be closed providing more privacy in the bedroom at night. The entertainment center is centrally located in the main living space and can be easily viewed by any seating in the room. There is a large slide out u-shaped dinette for mealtime, and a fold down sofa for added seating, plus each can be quickly made into more sleeping space at night if needed. The sofa also offers overhead storage.The kitchen features a refrigerator, three burner range, and overhead cabinets for dishes. A wardrobe/pantry provides more storage for canned items and dry good storage as well. Plus there is a double kitchen sink on an L-shaped countertop which makes cleaning up a breeze.The rear corner double bed bunks are 51" x 74" and feature a ladder for easy access to the top bunk. The opposite rear corner features a bath with private entry and includes a tub/shower, toilet, sink, and so much more! 2018 Keystone Passport Grand Touring 2810BH, There's no roughing it in this 31' 10" long RV! Plenty of headroom with a height of 10' 9" inside and a generous width of 8' 0" When the 1 slides open up, you'll enjoy maximum living space and comfort throughout. Enjoy all four seasons of RV living with the 35000 BTU furnace or the 13500 BTU air conditioner that will keep the interior as warm or as cool as you like it!This handsome Keystone Passport Grand Touring provides your whole family with sleeping comfort. There are enough cozy places to sleep for 10 people. You'll enjoy peace and privacy in your bedroom, whether sleeping, lounging, reading a book, or listening to your favorite music! The spacious Queen bed will let you sleep in royal comfort so you'll wake each morning rested and ready for a day full of fun!The kitchen helps you avoid fast food and excessive campfire snacks! Fresh food can be stored in the 6.00 cu. ft. refrigerator. You won't need to rely solely on campfires to eat with the 3 burner range cooktop. Don't worry about having to recycle large amounts of plastic water bottles with this camper's 43 gallon freshwater tank!Who enjoys trudging through the campsite to the communal bathroom? Thanks to the convenient and sanitary Foot Flush toilet and 38 gallon black water tank, you won't have to! You'll also have plenty of hot water for showers, hand washing, and shaving, thanks to this RV's 40 lbs. of LP tank capacity!andnbsp;Bring along friends and family because you've got room in this Travel Trailer with its bunkhouse that has Bunkbeds for sleeping in comfort and privacy! 2018 Keystone Passport Grand Touring 2810BH, You're closer than you think to owning your own 2018 Keystone Passport Grand Touring 2810BH Travel Trailer from Lakeshore RV Center! We're the #1 RV dealer in Michigan, in prices, sales, and service - guaranteed! Our dream is to see you own your dream Travel Trailer, and this 2018 Passport Grand Touring Travel Trailer is the perfect recipe for years of family outdoor fun! We're conveniently located at 4500 E Apple Ave Muskegon Michigan 49442, so drive in and see us today! Or if you're out of town - or even out of state - give us a call at 231-788-2040. We'll make your dream of owning this 2018 Passport Grand Touring Travel Trailer come true!There's no roughing it in this 31' 10" long RV! Plenty of headroom with a height of 10' 9" inside and a generous width of 8' 0" When the 1 slides open up, you'll enjoy maximum living space and comfort throughout. Enjoy all four seasons of RV living with the 35000 BTU furnace or the 13500 BTU air conditioner that will keep the interior as warm or as cool as you like it!You and your family won't miss any sleep over the weekend with this RV, which sleeps up to 10 people! You and your loved one will get an extra good night's rest on the Queen bed!The fully appointed kitchen means you can cook lots of delicious, nutritious meals on the road for your family. The modern 3 burner cooktop is perfect for flapjacks, scrambled eggs, and bacon for breakfast, or fried chicken, burgers, or chops for dinner! And the 6.00 cu. ft. refrigerator can store all your fresh meats, veggies, cheese, and cold beverages! Fill up the 43 gallon freshwater tank for loads of clean, refreshing water on your trip!With the bathroom, you'll save your family that onerous trek through the campground to the often cold, damp, and messy community bathroom facility! It includes a modern shower, a handsome sink vanity, and a handy Foot Flush toilet! There are 40 lbs. of LP tank capacity, so you can enjoy hot showers any time of the day! You don't have to see or smell your used water and waste, thanks to the 38 gallon gray water tank and the 38 gallon black water tank.andnbsp;Do your children become unruly when they're restless and tired? Avoid the temper tantrums by giving them a good night's sleep every night on the road in the cozy Bunkbeds in the bunkhouse! 2018 Keystone Passport Grand Touring 2810BH, Plan out a camping trip with the 2018 Keystone Passport Grand Touring 2810BH! This Travel Trailer is perfect for camping enthusiasts! Satisfaction is a guarantee, with our top quality RVs at the nation's lowest prices! 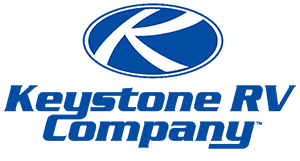 Get one step closer to owning your dream Keystone Passport Grand Touring by visiting our lot at 4500 E Apple Ave Muskegon Michigan 49442, or by calling us at 231-788-2040!Despite how the weather may be outside, the interior maintains a steady temperature with the 35000 BTU furnace and the 13500 BTU a/c. There's plenty of space to move around inside, with this RV's length of 31' 10" and width of 8' 0". Bumping your head isn't a problem inside this 10' 9" high Travel Trailer! For more room inside, slide out the 1 slides!It's hard to get a good night's rest when you're on the road. That's why this RV has an extra comfy Queen bed in the master bedroom, so you can sleep like royalty at night! A family of up to 10 can sleep well in this RV!The kitchen in your Travel Trailer comes with a kitchen that includes a 6.00 cubic foot refrigerator to store fresh food, veggies and fruits, and cold drinks. The 3 burner cooktop stove means you can prepare hot, delicious meals for your family! Lots of water for dishes with 43 gallon fresh water tank!There are 40 lbs. of LP tank capacity, so you can wake up to a hot shower each and every morning! The bathroom not only has a lovely shower, but there is also a convenient Foot Flush toilet! There are both a 38 gallon gray water tank and a 38 gallon black water tank, so you won't need to look at or smell your dirty water and waste while on vacation!andnbsp;Kids or guests will enjoy their own sleeping space in the cozy bunkhouse, with its comfy Bunkbeds. 2017 Keystone RV Passport 2810BH Grand Touring, This Passport Grand Touring model 2810BH features double bed bunks, dual entry doors, and a large slide out for added interior space.As you enter the most centrally located door you will see just how spacious this unit is. There is a front bedroom with queen size bed including wardrobes on either side for storage. There is also an overhead cabinet for added convenience. An entertainment center is located just off the foot of the bed and there are sliding doors on either side that can be closed providing more privacy in the bedroom at night. The entertainment center is centrally located in the main living space and can be easily viewed by any seating in the room. There is a large slide out u-shaped dinette for mealtime, and a fold down sofa for added seating, plus each can be quickly made into more sleeping space at night if needed. The sofa also offers overhead storage.The kitchen features a refrigerator, three burner range, and overhead cabinets for dishes. A wardrobe/pantry provides more storage for canned items and dry good storage as well. Plus there is a double kitchen sink on an L-shaped countertop which makes cleaning up a breeze.The rear corner double bed bunks are 51" x 74" and feature a ladder for easy access to the top bunk. The opposite rear corner features a bath with private entry and includes a tub/shower, toilet, sink, and so much more!